The Keep and Bear T-Shirt highlights one of the most important issues of the day - our right to bear arms. This gun rights shirt encourages everyone to protect our rights described in the Constitution and Second Amendment! 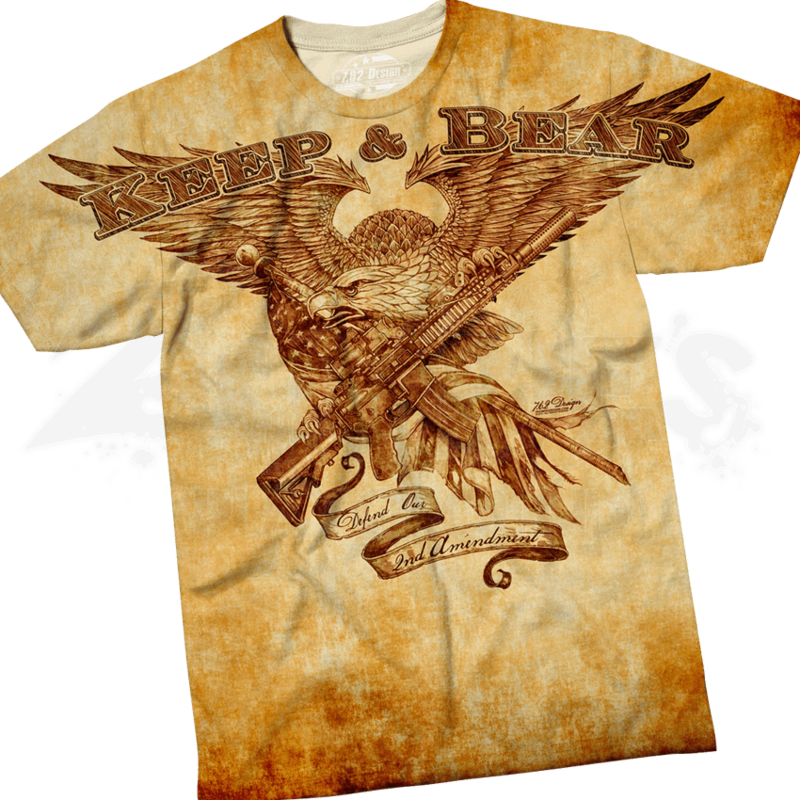 Rendered in rich, aged parchment tones, this pro-gun shirt depicts a bald eagle as it swoops down with a crossing rifle and American flag in its talons. The words Keep and Bear run across the top of the design, while a banner under the image reads, Defend Our 2nd Amendment. On the back of the patriotic t-shirt, the 2nd Amendment is quoted in elegant script, stating, A well-regulated Militia, being necessary to the security of a free State, the right of the people to keep and bear Arms, shall not be infringed. To bear arms is a sacred right, gifted to us by our forefathers, making this eagle shirt a great reminder of our need to guard those rights.